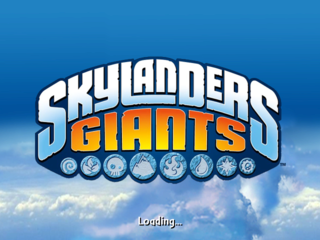 Skylanders Giants is a sequel to Skylanders: Spyro's Adventure. Several of the game's characters feature very different early development names, as indicated by their filenames in the game's characters folder. While several are merely generic titles, a few are very different. In addition, the Winged Boots' filename refers to it as a Potion, suggesting that early versions of this item were different. In the characters folder are two unused files that can be swapped for existing ones to use as playable characters: 099_Debug_Minion and 112_Sniper. Debug Minion uses Whirlwind's character model for gameplay, and a small coin icon for the stats screen. The Debug Minion is completely invincible, unable to die or take damage, and will do 100 damage with any hit it lands...however it also is completely unable to gain experience. It will shoot homing long-range rainbow attacks at enemies or breakable objects if X or Square is pressed (Xbox and PlayStation 3 respectively), or hearts if no target is available. Pressing A or X will change the character's element, however this has no effect on elemental barriers. Lastly, pressing B or Circle will move the character forward in relation to whatever direction they're facing, which can result in it getting stuck in walls. In addition, no upgrade screen exists, and hats worn on the character will appear massive, engulfing it. It does have a unique set of placeholder sounds, such as "Selected" when appearing on the loading screen or "Stats" on the statistics screen. Sniper is the more developed of the two, appearing as a pistol-carrying troll and wearing a large sniper-rifle on his back. Pressing X or Square will cause him to become stationary and allow you to angle a shot displayed by the rifle's laser sight and foliage to appear around him in this state. A or X will shoot his gun in a three-shot spread, and B or Circle will have him drop a claymore weapon into the ground that detonates when an enemy goes in front of it. However, Sniper has several issues in-game: the gun does not work at close range, the rifle and claymores are untextured, the rifle itself clips through Sniper's body, and moving in a direction while shooting will result in Sniper sliding. Other bugs include the laser sight appearing randomly on the ship and clipping through objects, getting frozen in the claymore animation if interrupted by the aiming attack, and the foliage remaining onscreen if Sniper is killed while using the aiming attack. Worn hats will also appear improperly on the gun arm rather than his head. Interestingly enough, when using the sniping attack if you shoot, Sniper can move around while the gun will remain in place, angling depending on your direction, allowing you to lure enemies into the line of fire. Sniper's portrait and upgrade screen are borrowed from Spyro, and he appears when summoned as a red-colored Spyro with placeholder titles for his available upgrades. No voice samples exist for the character. Confirm whether this character's name is 'Buckshot' or not. The game features "wow pow" attack upgrades for characters that appeared in the first game if their Series 2 figure is placed on the portal. However, several variant characters that don't feature Series 2 figures also have this upgrade and cannot access them: Dark Spyro, Legendary Spyro, and Legendary Trigger Happy. This page was last modified on 11 November 2018, at 18:43.